I'll be teaching a beginners' evening class at The Village Haberdashery (West Hampstead, London). 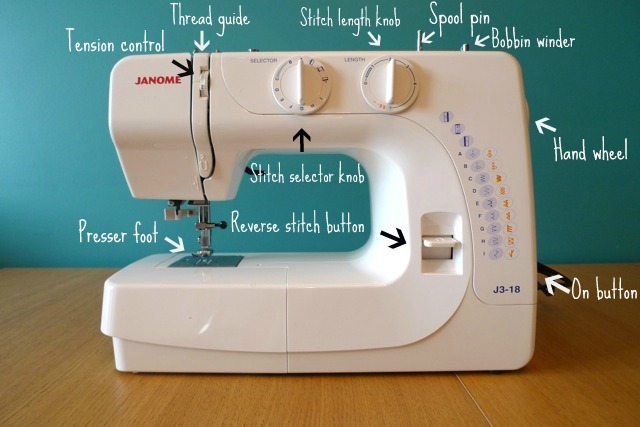 This class will introduce novice stitchers - or those who need a refresher - to the basics of sewing, from threading the machine to stitching curves and corners. After getting to grips with the sewing machine, we will make a gorgeous 1950s inspired bow belt for you to take home. I'm so excited to teach this class! 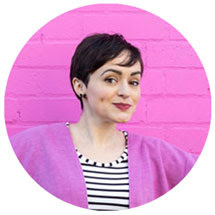 Lauren is opening a fabric shop in Birmingham! She has worked so hard for nearly a year now renovating the premises, and I have no doubt it will be beautiful. I'm so proud of her! I'll be there from about 11am to early afternoon to help her out on the first day, cutting fabric, serving customers or whatever she needs. Yes, I'm going to play shops. No, I haven't grown up yet. Come along! 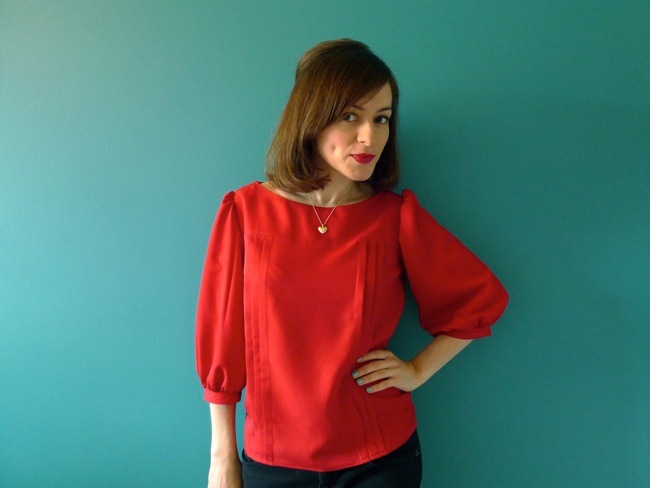 If you've sewn a few things before but are scared of sewing the Mathilde Blouse on your own, or if you just fancy having a giggle sewing with other enthusiasts, come and spend a weekend at Ray Stitch (Islington, London). I'll guide you through each step in the construction of this button-back blouse, including creating beautiful tucks or gathers, setting in puffed sleeves, and finishing it all off with elegant French seams. And we'll eat some cake. 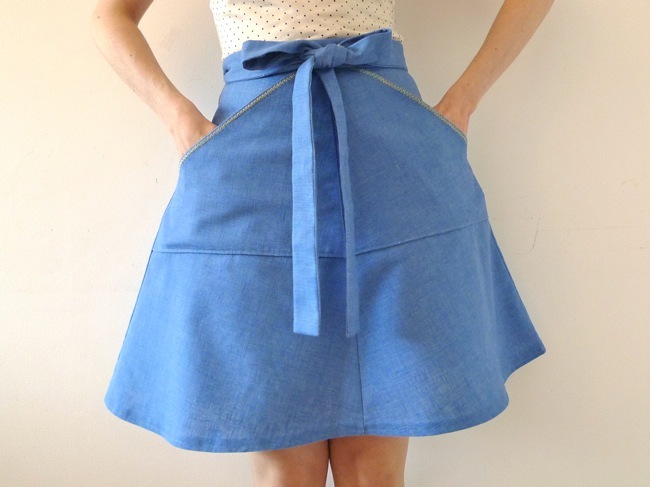 I'll be back at Lauren's shop teaching my Miette sewing pattern. 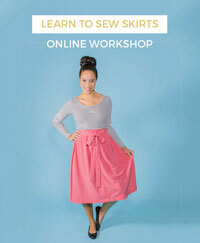 This is the perfect class if you know how to use a sewing machine and are looking for an easy project, even your first. Miette is a gently flared wraparound skirt that ties at the front in a delightful bow, with optional large patch pockets. We’ll cover the basics of using a sewing pattern and constructing a garment, from making a waistband to finishing seams and hemming. That's all for now - phew!